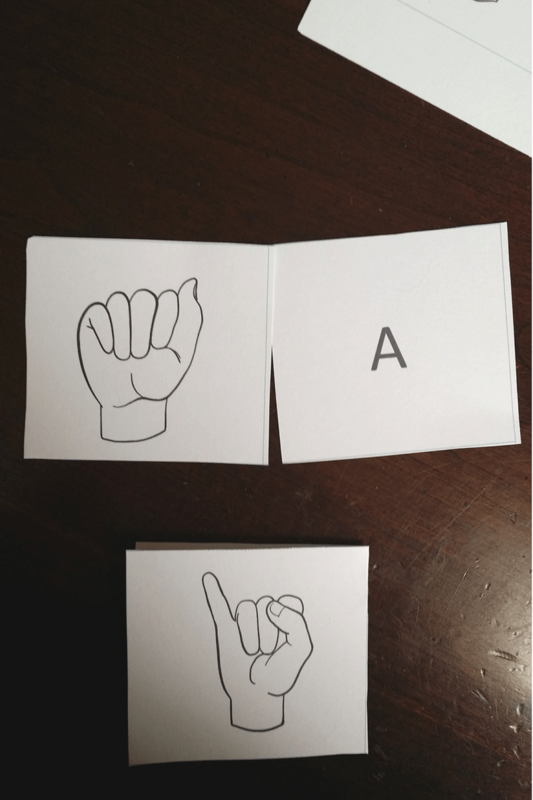 One of my most popular printable packs, after the Daily Routine Printable, is my ASL Flashcards pack. That one was created for a few reasons. One of them being that sign language was one of the first ways I was able to communicate with my autistic daughter. Another being that I’ve always felt that sign language is a great way to help babies with communication. 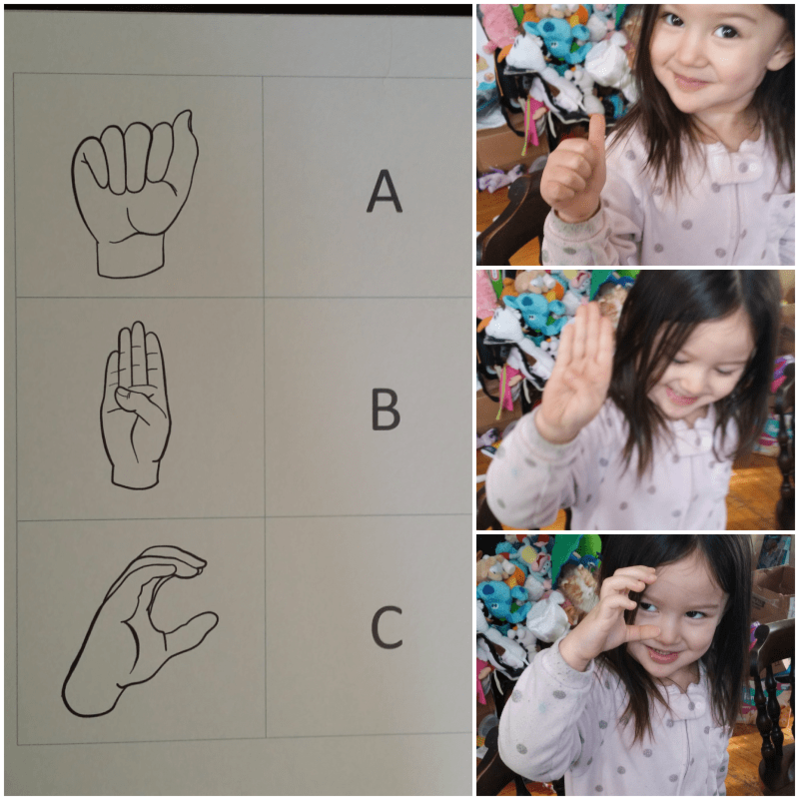 Because of that, I wanted to create a new printable ASL flashcards set but this time to use primarily with my toddler. 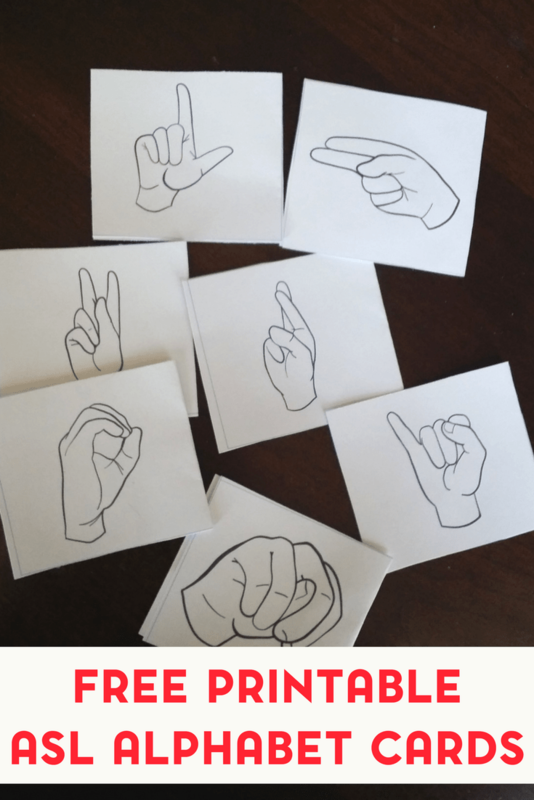 These flashcards would also work nicely with my old ASL flashcards pack and any of my free printables for autistic children. This set comes with the full alphabet, numbers 1-9, and an extra card for the sign for “more” (one of the first that Squeaker learned). I will have more ASL printable flashcards in the very near future as this has become a project of mine. So, while this is not a complete set of sign language flashcards, my goal is to eventually offer one in the future. The flashcards were designed to be used in a few ways. The main purpose, of course, is to learn the letters of the ASL alphabet. In fact, I would recommend these as a fun way to introduce a second language to your child. Children as young as 6 months have been taught American Sign Language. It can take babies several weeks or even a month to learn their first sign but once they get the hang of it seems to go more quickly. It may take awhile for the lessons to stick, but you are really equipping your child for long-term success. Even if they don’t continue with learning more advanced ASL, you just may be surprised at how much they retain. 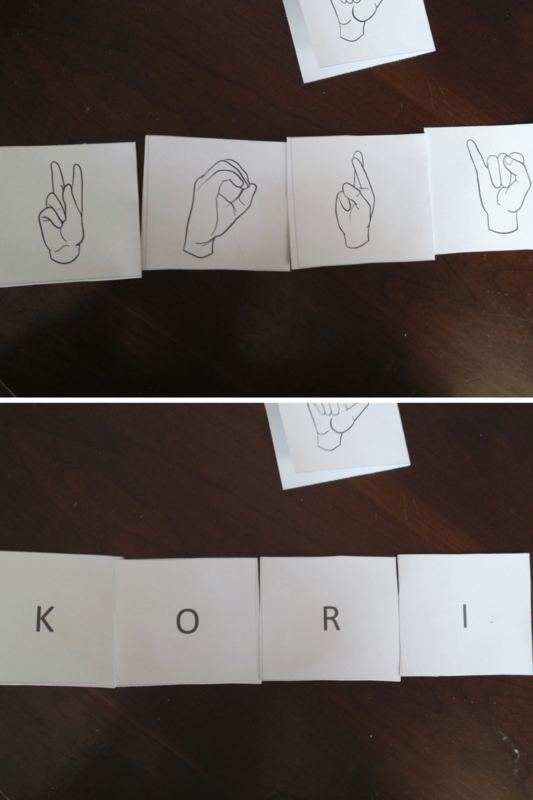 After printing (I recommend printing on cardstock), cut each letter and hand symbol out. But, if you’re going to use these as flashcards, cut across not down. Use a gluestick or tape to affix the two sides together. And you can either go over the letters or use the flashcards to spell things.If you do go the spelling route, you may need to print out more than one set of cards. As your child grows older or shows interest, you can also use these for sight words. Squeaker was pretty interested in learning how to form letters with her hand, so we worked on that for a bit while she had breakfast. I think another benefit of learning sign language, perhaps unintended, is that you are also working on motor skills. You’re also working on memory, alphabet recognition, number recognition, imitational skills, and following directions. Another way to use these, if you’d rather not use them as double sided, is to cut them in half and use them to create a matching game. However you decide to use them is really up to you!